Today cryptocurrencies have become a global phenomenon known to most people. No doubt it has helped bridge the gap and helped played a vital role in the financial inclusion of people who are still unbanked. While still somehow geeky and not understood by most people,, banks, governments and many companies are aware of its importance. In the world today, more than 1,000 cryptocurrency has emerged. Exchanges are still staying stills, with no expansions and developments in cryptocurrency exchange world. There are various problems posed in the digital currency world today which kuBitX has taken upon her to solve giving everyone trading in the system safe and happy. These problems include lack of a mature ecosystem whereby trades on exchange systems in the prices of certain currencies are often manipulated which is of no interest to other traders. Lack of customer support is also a problem whereby proper managements and resolving of queries, answering of questions, good user experience, responsive customer support and enquiries are lacking in most platforms, these leads to discouragements within buyers and exchangers. While that can be said to be a problem, the issue of security cannot be left out as it’s a big problem today in the world of cryptocurrencies, whereby hackers has bombarded. Many exchanges in the past have suffered a cyber attack which has led to losses. People are reluctant to be part of the cryptocurrency world which has led to market being dominated by a select group of traders who are able to manipulate the market at will due to lack of education and knowledge. The difficulty in dealing with fiant currencies as a problem cannot be left unsaid as it often leads people to lose money due to delayed processing either by the exchange or the banks, this happens when liquidity in fiant currencies against crypto assets is a hassle, leaving currency holders at the mercy of market volatility. However, most of the problems can be solved or worked out, and with the introduction of kuBitX it’s certainly a step in the right direction. • The vision of KuBitX is one of collective growth for all market participants, both our customers and the KubitX ecosystem, thereby contributing her share to the growth of the market itself. 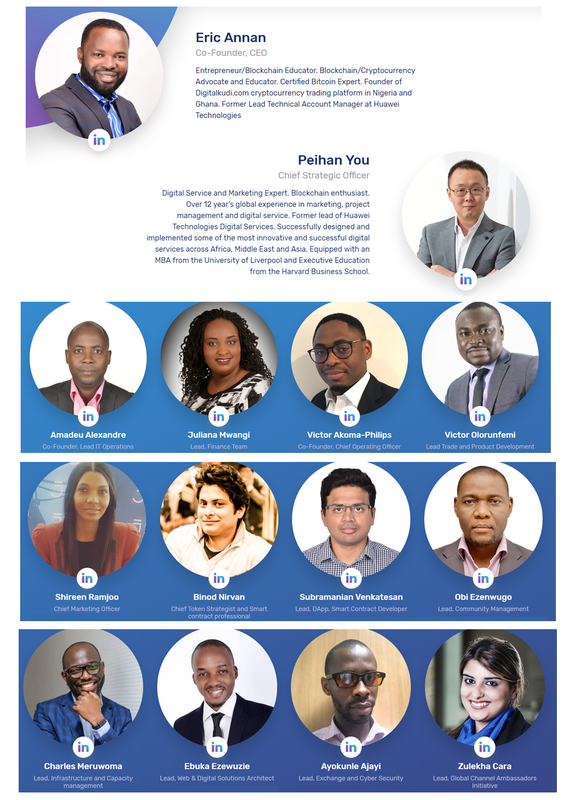 • KuBitX with its unique initiative called Global Channel Ambassadors to encounter, understand and capture local emerging markets aims to tackle the socio-economic hindrances to adoption which will help reach the grassroots to drive local adoption. Aimed to educate and enhance masses about blockchain technology. • To provide a robust security which KuBitX takes very seriously so as to make users aware of various frauds and hacks going on in the market and the measures which are already taken to prevent such attacks. • Giving the people and masses to financial wealth acquisition by educating people how to take advantage of blockchain philosophy thus enhancing financial inclusion. This will help the disposition of banks from being the controllers to the imposition of people where one can be able to control the market because P2P transactions are possible through their phones. • Our multi-signature wallet and cold storage strategy will minimize the exposure of our traders funds combining various strategies to secure the funds traded on our platforms. • With low fees, one can be able to transact with others. It’s lower when user choose to use KBX native token for fees payment. Trading fee on KuBitX exchange is 0.05%, however, the users opting to use KuBitcoin (KBX) tokens as a method of payment of trading fee will get a discount of 25% compared to the original trading charges. KuBitX will issue a fixed supply of 500,000,000 KuBitcoin (KBX) tokens which are based on the ERC-20 standard. The reasons for choosing ERC-20 tokens are the present familiarity of the market with this standard plus the stability of Ethereum Blockchain. TGE, 85% of team tokens will be locked for 2 years after which there will be gradual re-lease of the tokens over a period of another 2 years. KuBitX is a secured platform offering financial services which includes funds transfer(wire and peer-to-peer), payment processing, merchant servicing, Remittances, Bill payment, Trade financing, track and spend digital currencies in a single account, connecting ones account with any existing digital currency trading platform. Users have the ability to link their cryptocurrency trading accounts directly with their financial services account which creates a comprehensive account equipped to interact seamlessly with the emerging digital currency economy. Also is the availability given to merchant processing allowing them to convert digital and fiat currencies into payments form they desire. KuBitX is a must have for everyone who seeks wealth in the crypto world today. Its benefits can’t be measured and its compared to known. To be part of this awesome platform, for more enquiries and information, please visit us in the links below. Lets enjoy an easy life together.